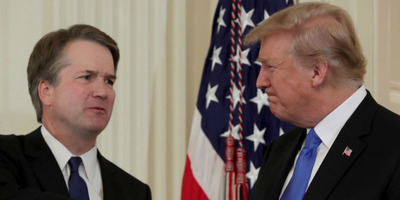 Chip Somodevilla/Getty ImagesPresident Donald Trump and his Supreme Court nominee, Judge Brett Kavanaugh. By all appearances, President Donald Trump and his Supreme Court nominee, Judge Brett Kavanaugh, are on opposite ends of the spectrum when it comes to drinking alcohol. Kavanaugh, on the other hand, has been scrutinised for the alcohol consumption he took part in during high school and college. Trump reportedly told advisers he did not like the optics on Kavanaugh’s drinking habits. 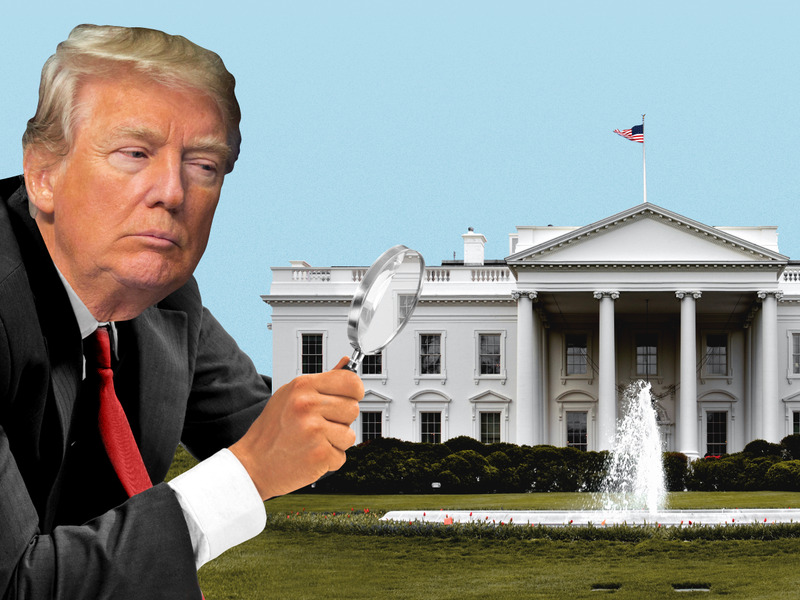 As a result of Trump alcohol sobriety, White House aides are said to be mindful of drinking around the president, reportedly because it may evoke a “lesser view of them” in Trump’s eyes. Despite their public displays of mutual appreciation, President Donald Trump and his Supreme Court nominee, Judge Brett Kavanaugh, appear to be on opposite ends of the spectrum when it comes to drinking alcohol. Trump, who has notoriously abstained from alcohol, described it as a vice that could potentially destroy the “mind for the long term.” Trump’s refrain from drinking was also reportedly influenced by his older brother, Fred Trump, Jr., who died at age 43 in 1981. Despite Trump’s reluctance to drink, the former real-estate mogul at one time sold a Trump-branded vodka. The product was eventually discontinued. Kavanaugh, on the other hand, has been scrutinised for the drinking he engaged in during his high school and college years. During his Senate Judiciary Committee hearing last week, in which he defended himself against claims that he sexually assaulted Dr. Christine Ford at a house party in the 1980s, Kavanaugh professed his affinity for beer, mentioning the word 29 times, according to a tally compiled by The Washington Post. “I drank beer with my friends. Almost everyone did,” Kavanaugh said at his hearing. “Sometimes I had too many beers. Sometimes others did. I liked beer. I still like beer. But I did not drink beer to the point of blacking out, and I never sexually assaulted anyone,” Kavanaugh said. Those particular remarks caught Trump’s attention. The president said at a press conference this week that he was “surprised at how vocal” Kavanaugh was about his drinking habits. Despite Trump’s continued support of Kavanaugh and consternation toward his accusers, Trump said he did not like the optics of Kavanaugh’s drinking habits, according to several advisers cited by The Post. Following his testimony, Kavanaugh’s accusers and former classmates claimed he mischaracterized his school-age drinking. “The president doesn’t like drinking, and so Kavanaugh talking about how much he likes beer put Trump off,” a person who was briefed on Trump’s conversations said to The Post. Consequently, White House aides are said to be mindful of drinking around Trump, because it may evoke a “lesser view of them,” according to a former official cited in a Politico report. Trump’s confidantes highlighted one case in which a senior Trump official’s drinking attracted the president’s ire, according to Politico. As Republicans desperately fought to rally enough votes to defeat Obamacare, Tom Price, the former secretary of Health and Human Services, landed on Trump’s radar after being photographed drinking at a bar. The president’s “frustration was amped up 10% by the fact that he was at a bar,” a former White House official told Politico.